sold my schooner 7 years ago when my wife of 40 years got sick and died. I really didn't want to go sailing again but I missed the sea life. I decided to go back to the sea and live again. So I purchased a 41 oi Morgan ketch and moved aboard last month and loving it. Purchased it in Florida and sailed it back to Kemah tx and doing some upgrading and planning to do the American Loop leaving in March 2017. Sold my house, car and most of my stuff and getting ready to go. I'm now 73 and in good health so why not. Why a Morgan out island? It fits what I need to do the loop. 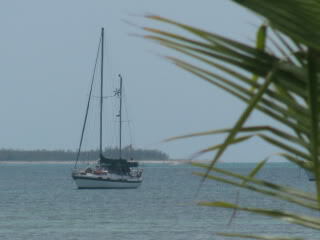 New engine, new gen set, very good sails, 4 ft draft, good electronics and plenty of room for me and guests from time to time. What more could I ask for. I'm ready. It'll be an awesome adventure! Congratulations! Enjoy! Good on ya, mate! Very sorry to hear about your wife kingwoodie , I know you are hurting . Time and the sea hopefully will help . Congrats, and good luck on the trip. Where will you remove the mast to move from the Great Lakes to the Mississippi (or Illinois)? Been there, it's struggle but it sounds like you are coming out the other end. Congratulations! And welcome to the Morgan club! These boats are tough old girls! not very sophisticated by modern standards but tough and can take a beating! There is a very active group of Morgan OI owners on Facebook. Search up "Morgan 41 OI owners group" lots of resources there and probably some help and suggestions for you along the way! Learn to use your prop walk. the Morgans (like most long keel boats) don't really like to back up in the direction you want! Mine carves heavily to starboard in reverse so I just plan for it where I can! Kingwoodie, Congratulations! We've been liveaboard cruising our Morgan Out Islands for 43 years. We've thought about "The Loop", but we've never taken it on. I'll be interest to hear about your adventures. Ours is a 1973 "walk-over"Ketch, Hull #172. Tell us more about your Morgan!